I can offer free quote in 24 hours. please call us to discuss availabili­ty as this varies depending on the time of the year. owner operator with over 21 yrs experience in "Australia"&"Newzealand"­ 5 types of floor licence related. we work around your schedule, making the whole process as easy for you as possible. 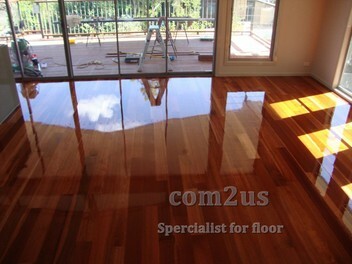 Calvin has done an excellent sanding work for my old floor including nail removing and gap filling with good price. The result of the job pretty exceeded our expectation and it's done on time within budget. Absolutely would call on Calvin again. Highly recommended. calvin bai: Hi Mike .thank you for your good review. enjoy your beauty floor& good on you~!